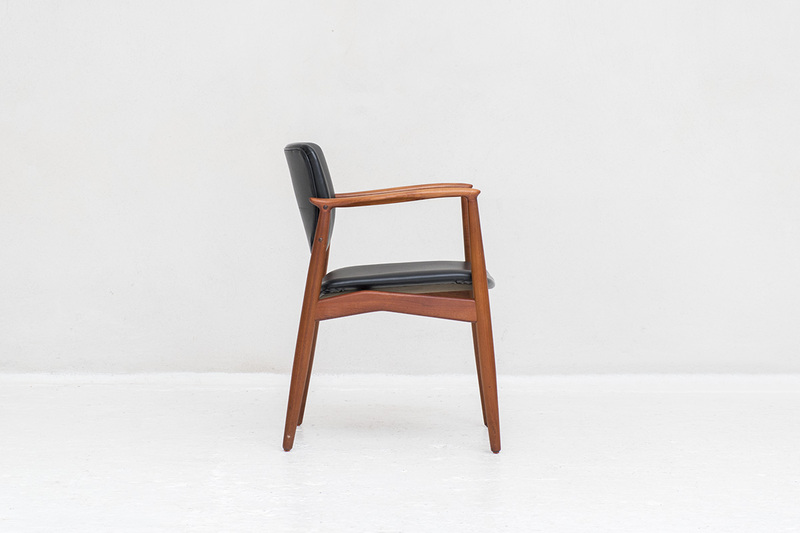 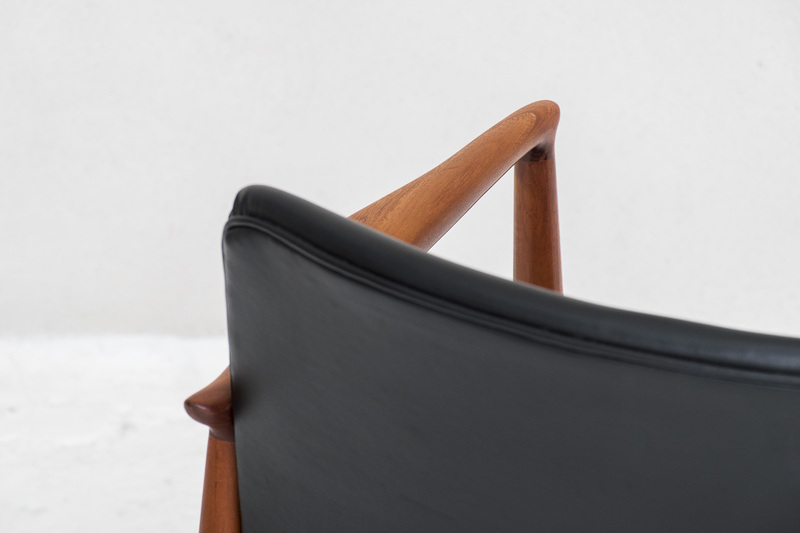 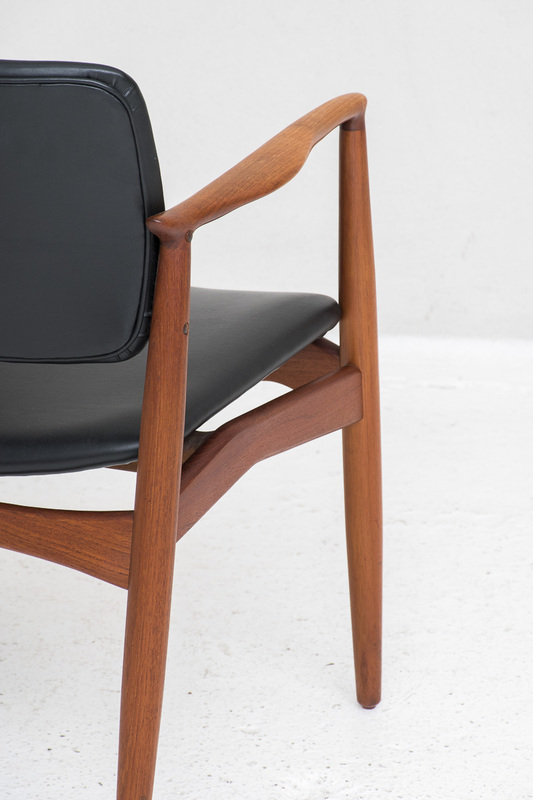 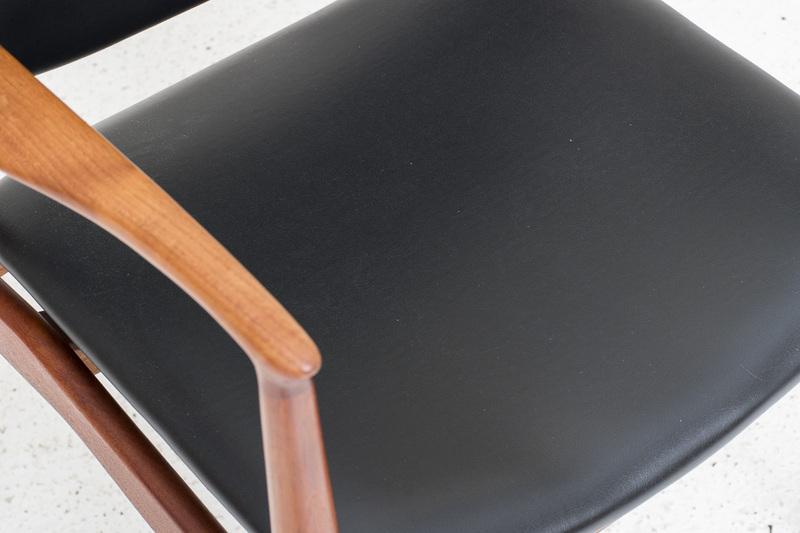 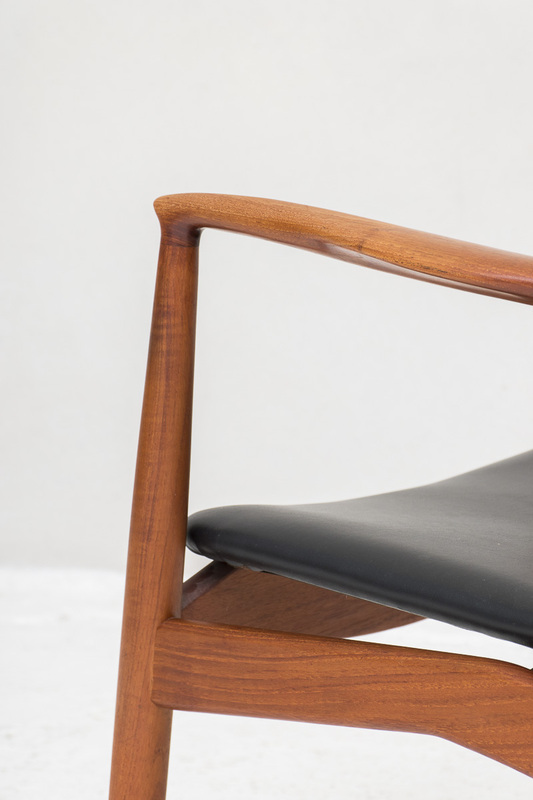 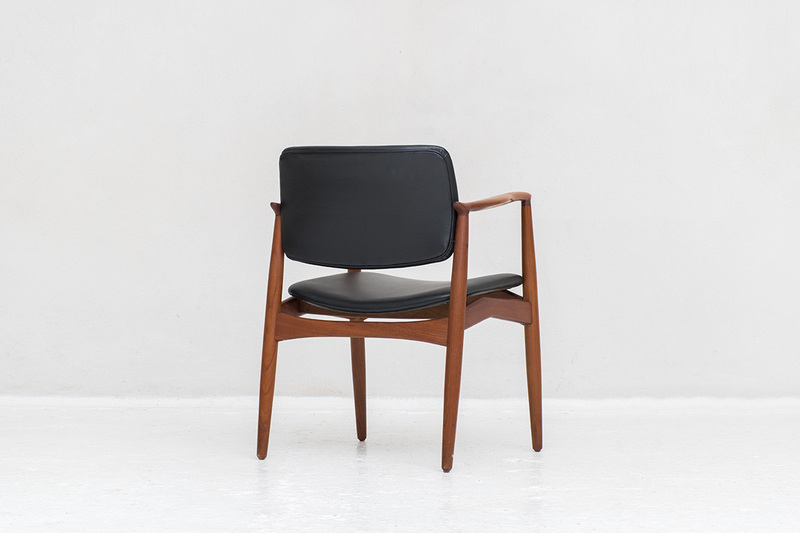 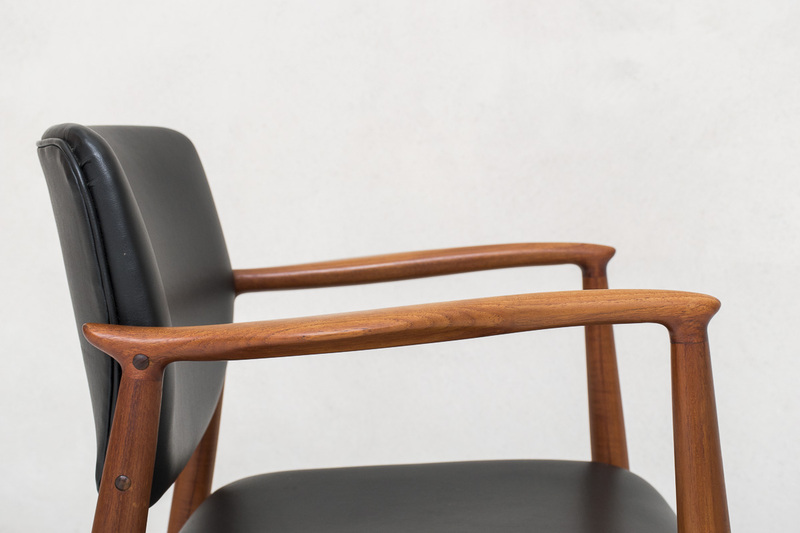 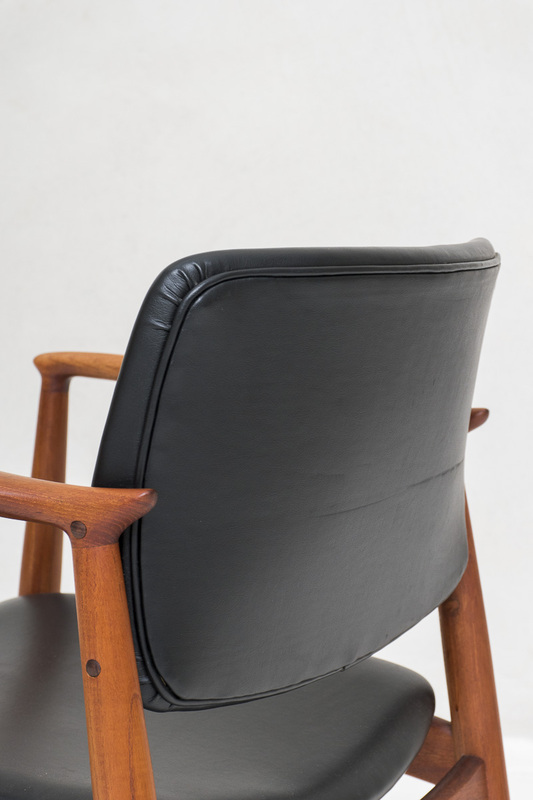 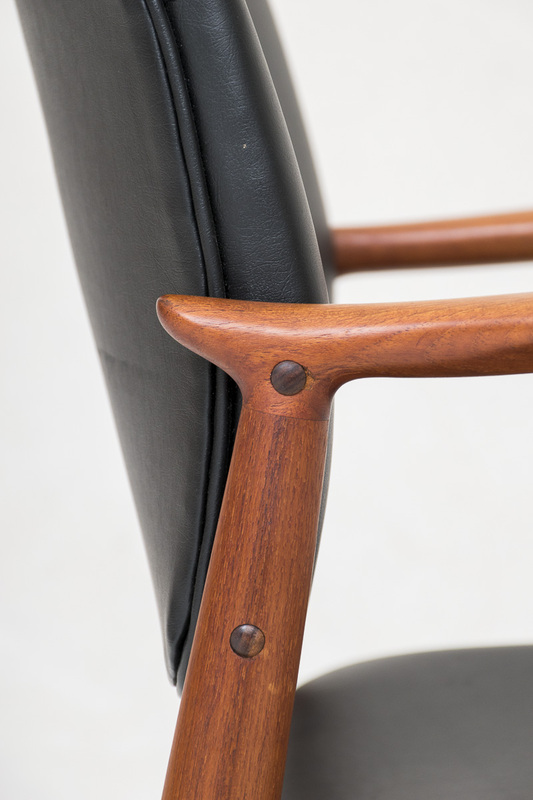 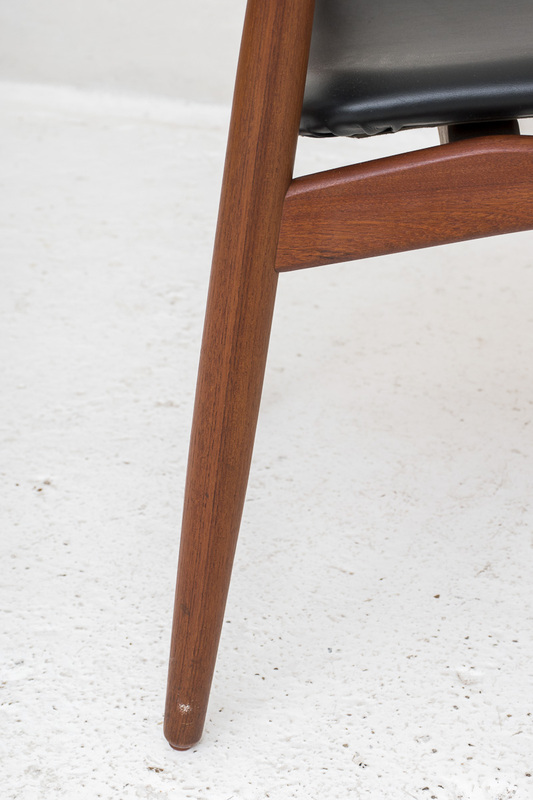 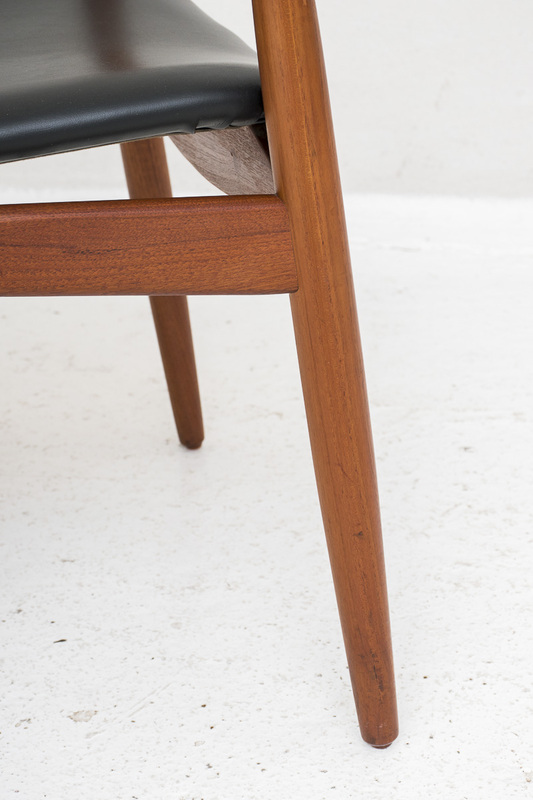 Arm chair designed by Erik Buch manufactured by Orum Mobelfabrik in Denmark in 1950. 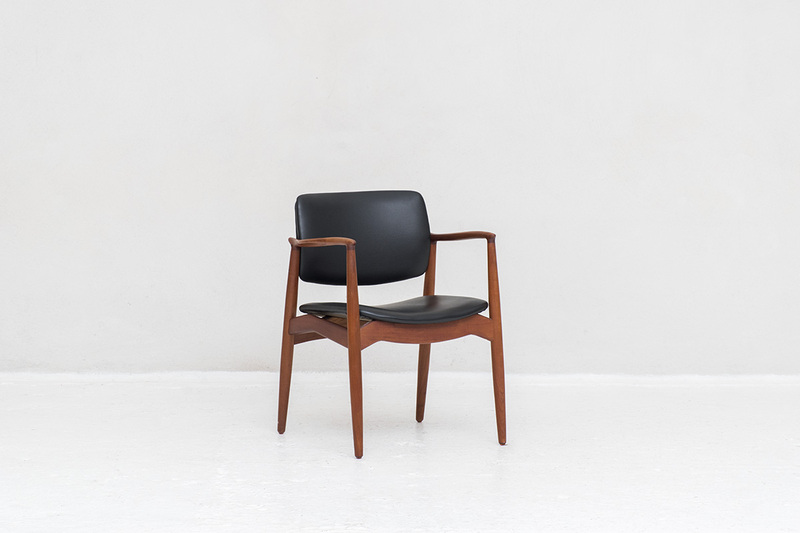 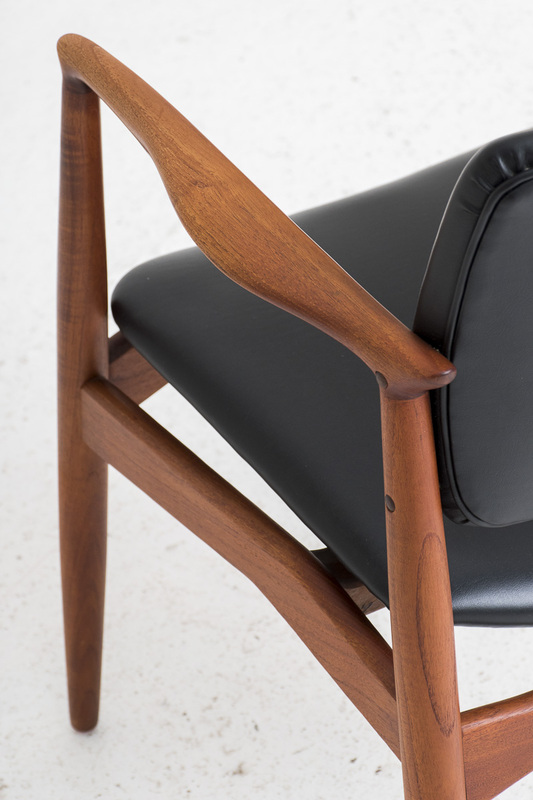 It has a reddish teak frame, a floating seat & backrest and skai upholstery in black. 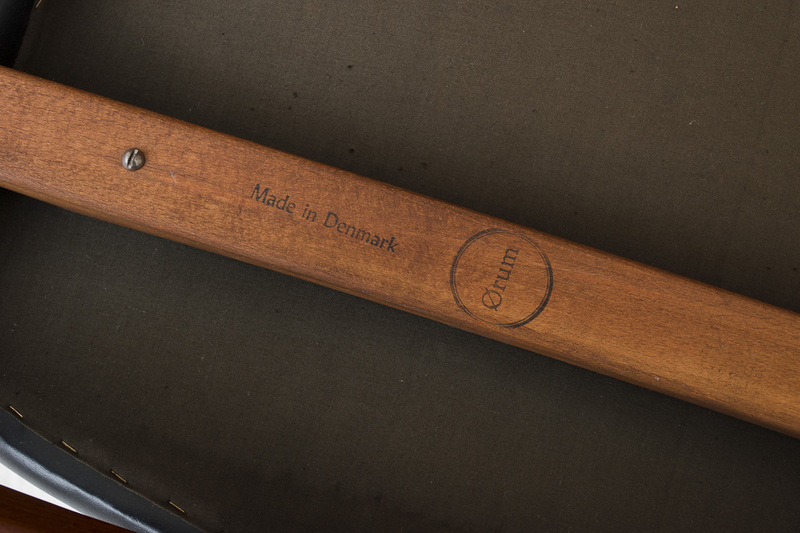 It is marked with the Orum label and has beautifully designed wooden peg joints.